So, what do you think? Are you attracted or repelled to someone based on how they smell … and if so, to what extent? We’re all either positively or negatively affected by smell. Problem is, we’re affected in different ways. Let me explain. 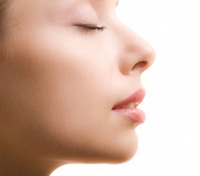 A study done by scientists from Northwestern University’s School of Medicine on scent and likeability reported that imperceptible levels of scents affect our judgment in unconscious way. The scientists used three scents at different levels of concentration; from imperceptible to perceptible. The scents were: lemon (good), sweat (bad) and ethereal (neutral). After participants sniffed a sample, they were shown a photo of a human face with a neutral expression and were asked to rate the person’s likeability. Here’s what happened. When the scent was perceptible to the participants, they were able to discount the odor and evaluate just the faces. However, when the odor was barely perceptible, their judgments about likeability were biased. What does that mean? Your body is giving off an odor and people are quickly and unconsciously taking that piece of information into account in deciding if they like you or not. That may sound unfair, but like many of the laws of likeability, it is what it is. You either smell good to someone or you don’t. Now comes the real problem. Different people find the same scent both attractive and unattractive. For example, my neighbor has a night blooming jasmine plant in his yard that we can smell every evening after the sun goes down. Both my wife and I love the smell. It reminds me of a fragrant sugary candy that I used to enjoy as a child known as candy buttons. However, there are people who find the smell offensive. Another example is an organic by-product of the neem tree we use to fertilize our haliconias. Both of my sons and I find the smell intolerable, where my wife and her female friends find it virtually odorless. Based on this experiment alone, I am completely persuaded that different smells have different reactions to different people. Another study by Claud Wedekind, a biologist at the University of Lausanne, had 44 men wear a t-shirt for two nights. The t-shirts where then sniffed by 49 women and rated for levels of attractiveness. A higher percentage of the women preferred the odor of the t-shirts worn by men who were immunologically different to them. However, women who were on birth control pills showed preference for men with similar (MHC) or Major Histocompatibility Complex profiles to their own. You can read more about the study and the science behind the study here. The point once again is … different people are attracted to different odors. So how can you use this knowledge to make yourself likeable? To start, understand that smell matters. No one likes to smell someone who generates a bad odor. Basic hygiene is a good start. Take a shower, watch what you eat, brush your teeth, use deodorant, wear clean clothes. These tasks will hide a bad odor, but how do you generate a good, attractive, likable odor? This is where you need to take a risk and ask your partner when they find your smell most attractive. Allow them to choose or suggest your shampoo, soap, perfume, cologne, deodorant etc. Ask them to tell you when you do and don’t smell good and explain why. Follow these simple suggestions and you will be well on your way to a happier, healthier more enjoyable life. If you have a story about smell as it relates to attractiveness or likeability, please tell us about it in the comment section below.